Some years back I got a box of Sukie labels from Amazon, I think. I always planned on using them and just never got around to it. But I spied them on my shelf in a recent tidy-up and thought I might try to actually use them. 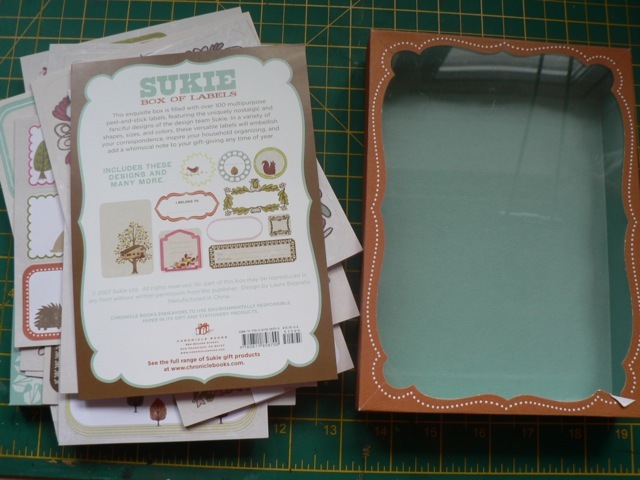 One of the things I love is the box – It is lovely and sturdy with a clear insert in the lid. It gave me the idea to make a mini to fit inside. 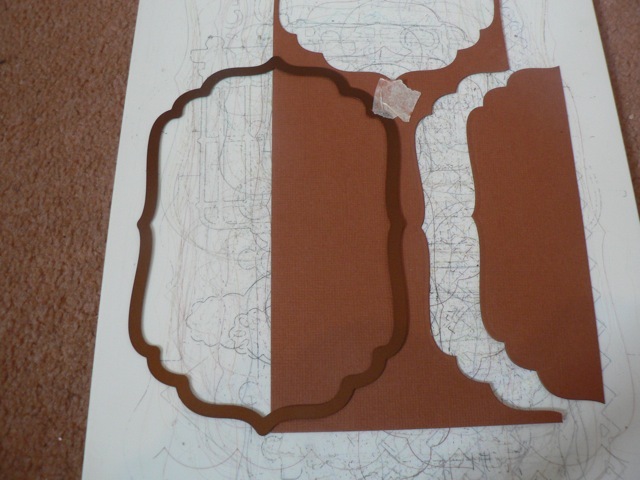 When I do a project like this I am always using scraps and cheap card to experiment with the construction. Here are a few of my attempts, including the one I settled on. The pages of the mini at just shy of 5 x 7 (4 7/8 inches x 6 7/8 inches) as the box is just OVER 5 x 7 by 1/8 inch each way. It’s about 1 1/4 inch deep. 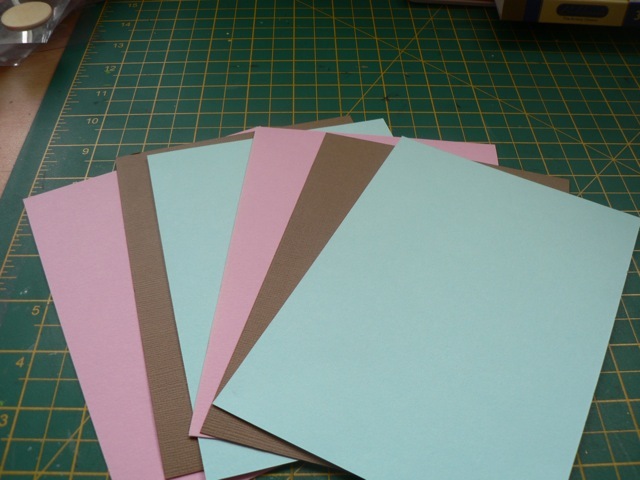 Cut your pages – I did six pages in three colours. All the cardstock tones nicely with the labels. Cut three labels shapes. 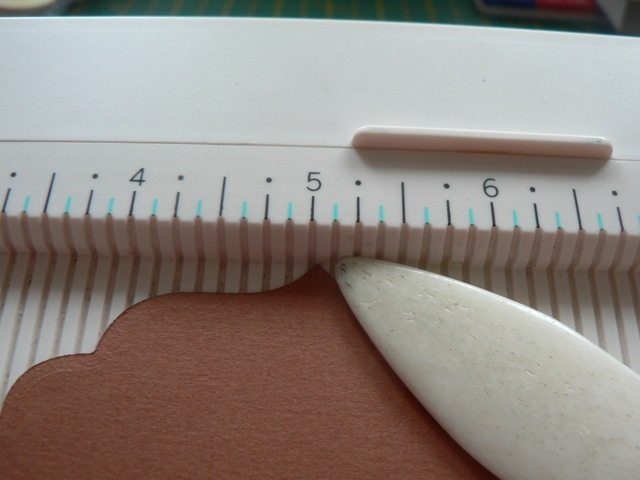 I used the Grand Labels 4 (one up from the smallest) because that let me get all I needed from one sheet of cardstock – but you have to be careful in your cutting! 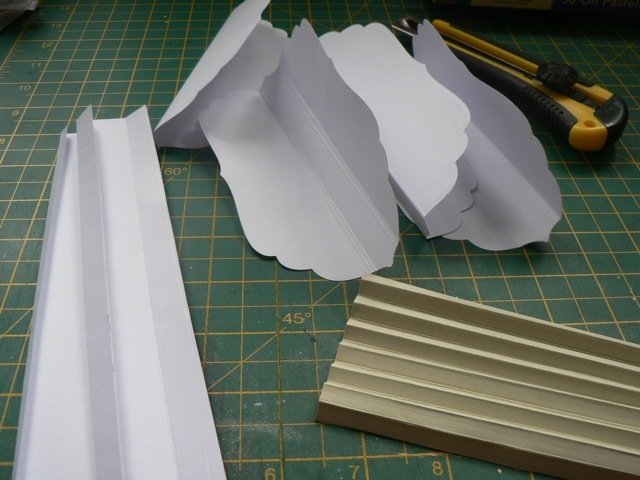 I cut my 12 x 12 sheet into three 4 x 12 strip. I cut ONE label from the top of each. Using a little smidge of tape will keep the die from shifting and wasting your resources. 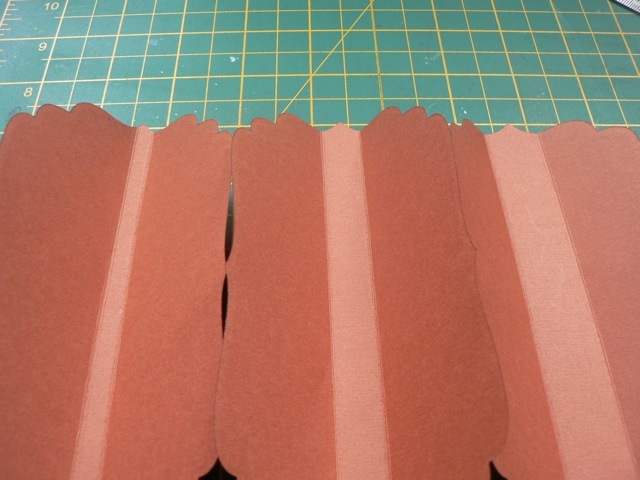 Once you cut the first one, there isn’t enough left to cut a second FULL one, but you can cut two halves from each side, like this. You will now have 3 full and 6 half label shapes. Take your first full label and line up the points along an inch groove on your scoreboard – you want to make sure they are lined up. I have a mark along one groove so I can see the top and bottom of the line all down the board. Score either side of the point at 1/8 inch (I have the MS scoreboard so that is the first BLUE line. Crease well. Set those aside for the moment. Carry on with each page till they are all added. You will have this! So that is the spine. I’ll show how I did my cover (although you can do any one of a bunch of different options from this point) and maybe a little of the decorating, tomorrow. I’m loving how it is looking at the moment and with the labels it will be perfect for a garden visit or a walk in the woods, or any other outdoors-y occasion. And it fits PERFECTLY in the box so Woo Hoo for that – me, math, challenged don’tchaknow? Gosh I’ve missed my minis. 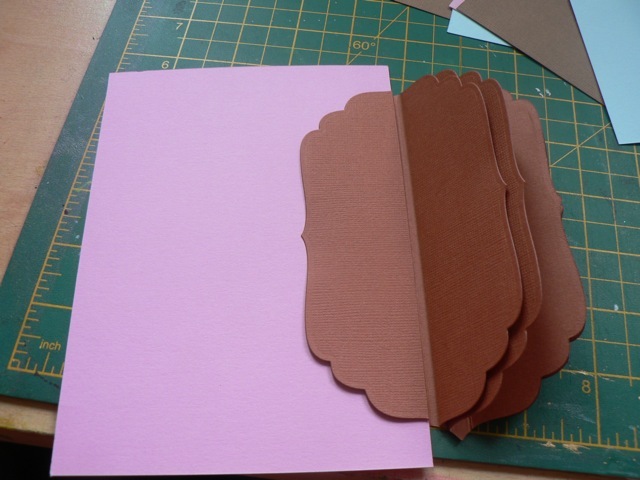 Categories: die-cuts, Grand Nesties, mini-albums, scrap related | Tags: how-to, mini-albums, scrapbooking | Permalink. Well I’ve been happily making my word books and finally feel like I have sorted out the spine to one I really like. 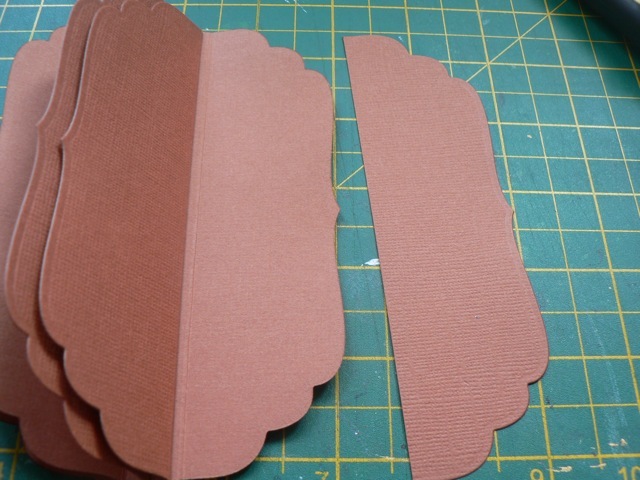 You can leave it with a fairly simple cardstock cover, sandwich the cover between bigger pieces of cardstock for a sturdier cover, cover it with chipboard for a REALLY sturdy one, and it all works well. I love the way you can make quite long word/name books from this, because the traditional word book needs ever increasingly longer pages to work properly and frankly, with kids who have names of 7 and 9 letters, they just were never going to work. Looks dead boring, right? 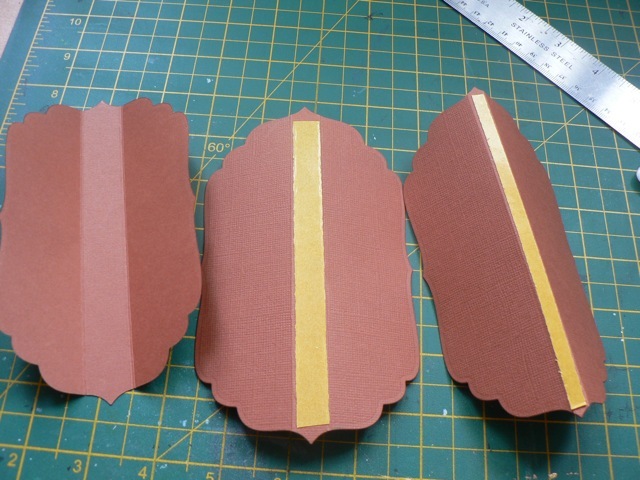 I used the Grand Nesties to make the chipboard cover but haven’t gotten around to decorating it as I am dithering between two themes for the book. Once I decide and sort the photos I’ll do that. Loving how bang tidy that spine looks and the fact that the first page doesn’t want to “pop up” at half mast like some of my experiments. Again, looks pretty boring still but…. when you pull the tab at the back and the pages all roll out it looks so cute. Love the font (Rosita) and the pretty girly pinks. 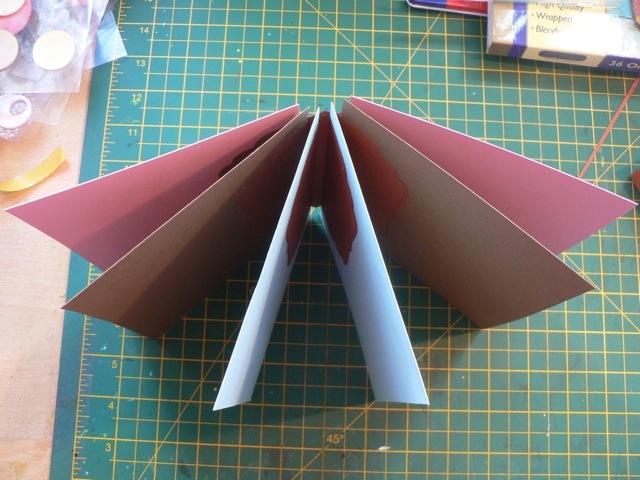 The pages all flip over and sort of collect themselves back onto the front cover. When DS gets home I’m going to see if he can give me a hand with his camera on his Mac to record it in action, because I don’t think you can really appreciate it seeing it as a still image. I have done a You Tube doodah, but I am waiting to load that until I see if I can append actual motion video, rather than my usual slideshow thing. I think the PDF and the video work together, as the video covers some info about making the reveal wider, if you choose a wide font, but the PDF has more detailed photos, with annotations and arrow that make understanding the construction a bit better. I’m trying a new way to add the PDFs – not sure myself what will happen when you click the link below, but I hope the PDF will download automatically. If not, I’ll add it to my sidebar as well. If you do download it, please take a moment to comment. Categories: Grand Nesties, mini-albums, tutorial | Tags: how-to, mini-albums | Permalink. 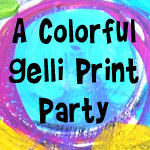 Two videos – one totally NOT scrapbooking! I got this video link from my brother, of his DDs soccer (football to all the UK folk) highlights reel. She plays for her University and is just an amazing player. So proud of her. The video is quite long, but if you pop to about 4:17 minutes you will see one game where she set the school record of FIVE goals scored in one game. Shame it is filmed at such a distance – you can’t see her speed or amazing footwork or her deadly accuracy. I did finally manage to edit the slide show for my homemade Kennedy books. Not managed the PDF yet – I did a few versions (gave two of them away, including the one that had, I think, the best binding arrangement) and now need to at least make another spine so I can show that. Sorry about the music – it’s LOUD. You just have no control over the sound level when you do an audio swap. I wanted to use the Hank Dogs but that is one that is not just a show-an-ad one, it’s an audio disabled one. I do love them. 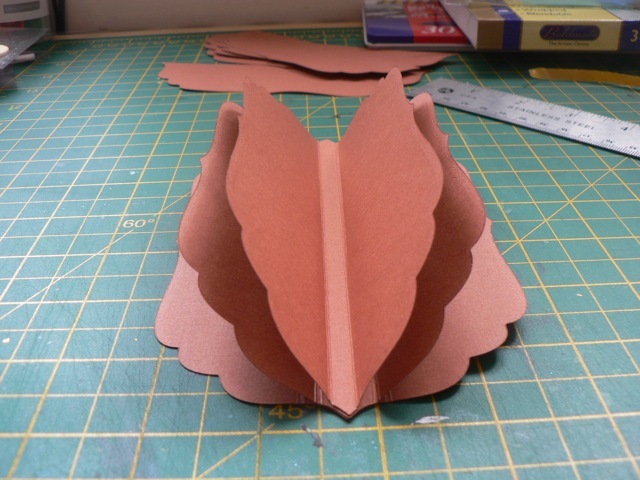 Anyway, I hope you give it a go – they are so cute when you pull out the stack of pages! Categories: Grand Nesties, mini-albums, videos | Permalink.